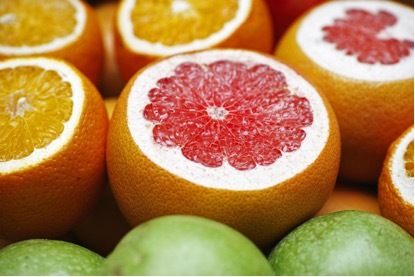 If you have a business dealing with fruit juices, then one of your goals is to find a good supplier. Fruit juice is readily produced by a lot of manufacturers, however, and this is where it can become quite confusing – which fruit juice manufacturer should you choose? If you are having difficulty finding the right supplier and would like to make sure that you choose the best, here are the essential factors you should consider. One of the key factors you should look for when looking for a fruit juice supplier is their operations and partners. If they have their own processing site for fruit juice, then you’ve certainly hit the jackpot. This means that they are fully aware and in control of the manufacturing process, and they know where their fruit is sourced. This is a very good sign, and it also means that they may be able to give you a better price because they are the source and not just the middleman. If you can’t find fruit juice manufacturers which have their own processing site, you can at least opt for one which has a long-standing partnership with a producer. You should also look for fruit juice manufacturers and suppliers which have a proper storage process and solution. With proper storage, the juice can stay fresh and retain its quality even if it is not immediately sold or delivered. The same is true for the delivery of the fruit juice – the supplier should have a good delivery system in place, one that ensures that the juice stays fresh. It would also benefit you if the fruit juice manufacturer and supplier can provide you with a wide variety of fruit juices from which to choose. This not only goes for the fruit ingredients themselves, but also for the type of fruit juice which they can supply, such as fruit puree, fruit juice concentrate, not from concentrate fruit juice, and even deionised concentrates and fruit aromas. This will ensure that whatever you need, the fruit juice manufacturer will be able to provide it. Of course, the cost of the fruit juice will always be an important factor. Look for a supplier which can provide you with what you need in bulk, as this can mean some good discounts. But whilst the cost is important, it’s also important not to make sacrifices in quality. You may be opting for cheaper fruit juice, but this can have a detrimental effect on your business in the end. There needs to be a balance between cost and quality, and if you have found a good manufacturer, they will most probably give you a good price if you can establish a long-standing partnership with them. Previous Post: « Is A Personal Loan Right For You?